The content found on this website has been provided for informational purposes only. Assurance cannot be provided on the accuracy of the information as it has been provided as an opinion. Simply Sustainable is dedicated to protect the privacy of its visitors and no information collected via Third Party applications such as the contact form, sign up form, or comment section will be shared with anyone outside of the company. No personal information such as name, address, date of birth, etc has been gathered by this website automatically. Users are provided with the option to contact us through Third Party applications via our form, sign up for the newsletter, or sign up to be notified when a new blog has been posted. Simply Sustainable shall only obtain personal information if it has been provided by the user of the website. This information is provided on a voluntary basis and is not required to read the website. The Internet contains Web servers which automatically collect certain information about your visit to any website; this includes the visitor’s Internet Protocol (IP) address. All devices used to gain access to the Internet have a unique IP addresses assigned by Internet Service Providers (ISP). This IP is automatically logged by web servers when a site has been visited. Though the IP address does not disclose the user’s personal identify, it is traceable information that can be acquired under certain circumstances via the ISP. While this information holds no immediate identifiable labels, it can be traced back to a certain device or server. IP addresses are therefore potentially considered personally-identifying information. Simply Sustainable will under no circumstances solicit the identity of a website user via the IP address. The information may be shared with appropriate law enforcement authorities if suspected criminal activities are detected and Simply Sustainable is required by law to allow access to such information. Information can be collected in several different ways including, but not limited to tracking of search terms, sign-up by email, contact forms, comments on pages, log files, clicked links to third party sites, and cookies. While on the Simply Sustainable website, there are several hyperlinks to third party companies or information sites, some of which are subject to affiliate marketing revenues. If you click on an affiliate ad via the Simply Sustainable website, your information will be gathered by a third party to track traffic directed from this website. 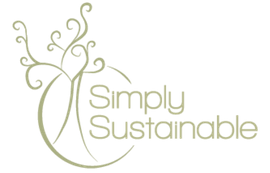 Simply Sustainable runs a wordpress.org website using a free template and an assortment of plugins and widgets. The plugins and widgets may gather cookies on certain pages on the website. This website gathers cookies in order to enhance the overall experience on the site. If you do not want cookies to be gathered, please adjust the settings on your web browser and device. The adjustment of settings to avoid cookies might result in a different experience on this website including reduced options for sharing and connecting. In order to better understand the performance of traffic on this website, Google Analytics is used. This information is used solely to improve the website and create additional content based on the most popular blog posts and pages. If you would like to opt out of being tracked by Google Analytics, please visit this site. Note: this may alter the overall experience on the Simply Sustainable website. You can learn more by visiting the Google Analytics Terms of Services Page. The Simply Sustainable website uses Third Party Applications such as, but not limited to, Mail Chimp, Gmail, SumoMe, wordpress.org etc. to collect information provided by the website user via the contact us form, e-mail sign up, or comment section.